Wow, excellent work! Thanks for sharing! I completely agree with WMFab. Nice work and using macros is certainly a good idea! Looks beautiful! Great job there! 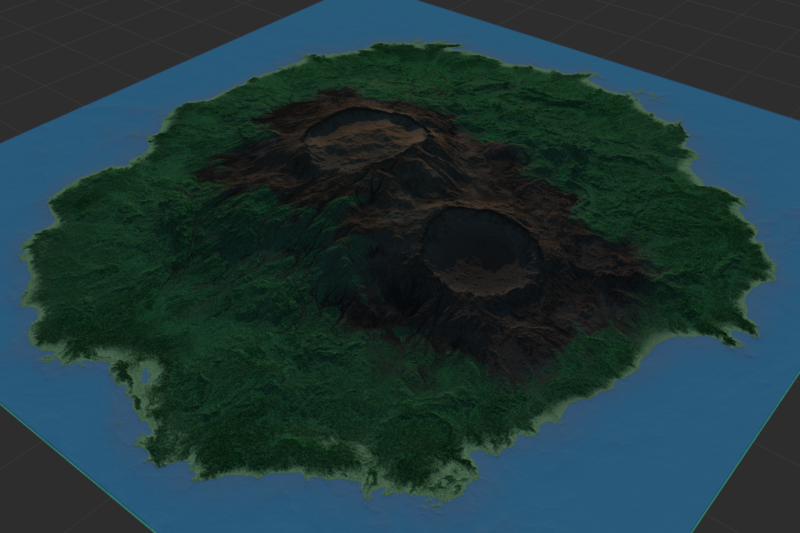 A simple tip about the complex graph, when your terrain is finished, do the coloring inside a macro. It would take slightly more time to set up and switch back and forth, but will be cleaner, more coherent, and reusable once finished. 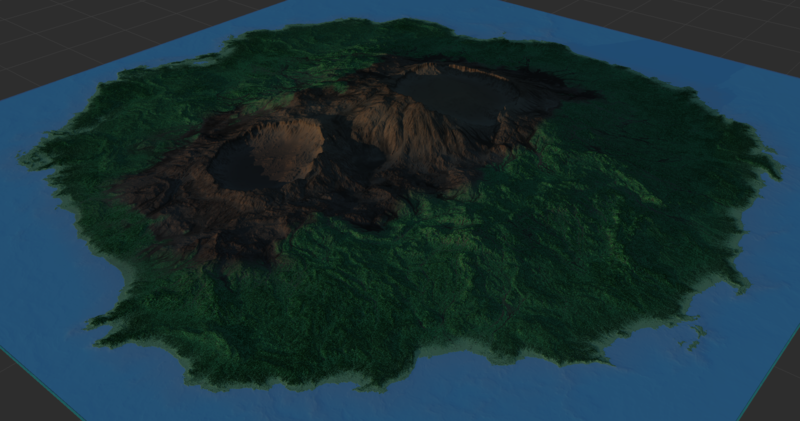 Even if you don't publish many parameters, it's still a ready to use "volcanic island coloring box", just plug in the masks! The graph is VERY messy compared to what I usually strive for, it got a bit annoying to work with towards the end. (I made this while pulling an all-nighter lol) I probably won't be uploading it unless someone is actually interested in poking around in it.